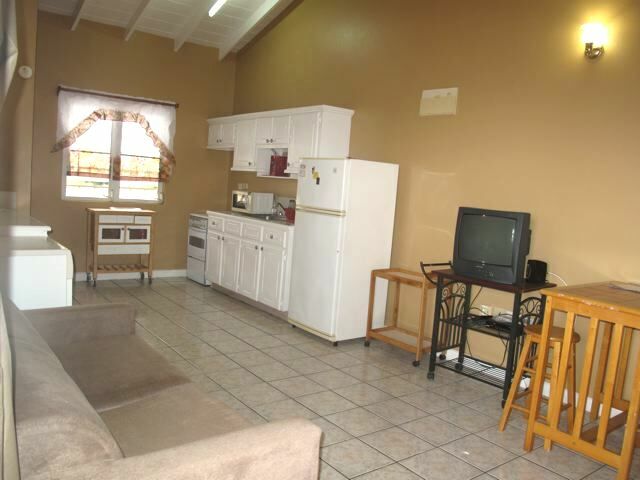 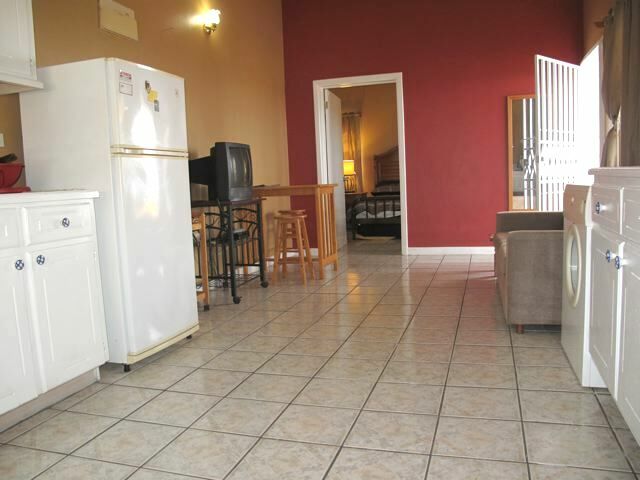 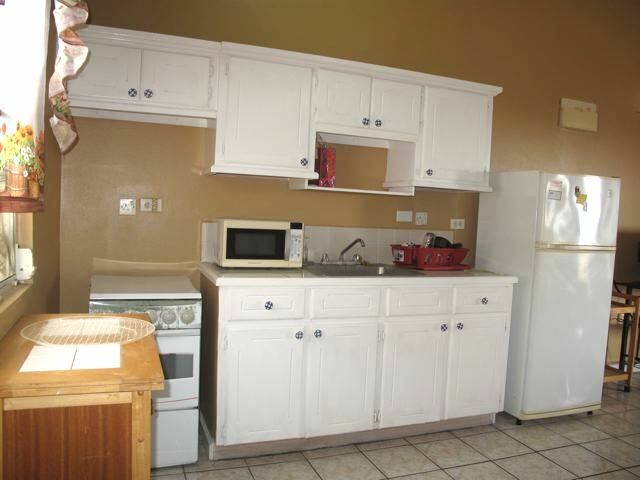 This self contained 1 bedroom apartment has ocean views and is located in a quiet residential area close to all amenities and just minutes from Basseterre and walking distance to both UMHS and Ross Vet. 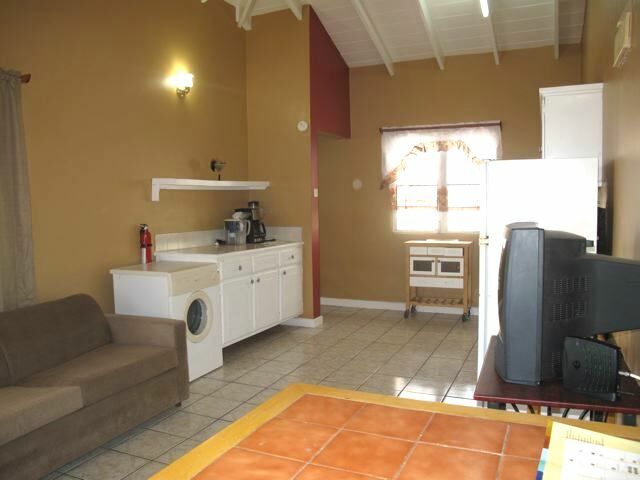 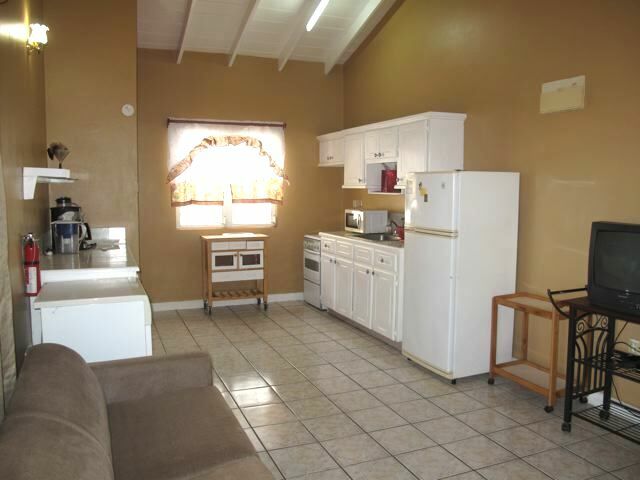 The apartment comes with a washing machine and dryer A separate entrance leads to the upper level apartment and the open plan kitchen and living area. 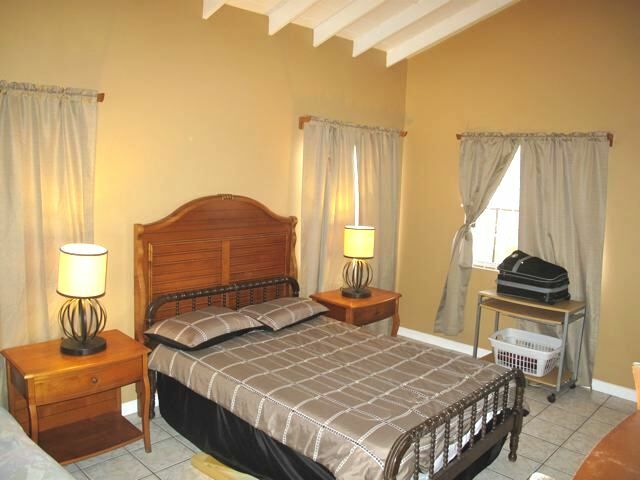 The spacious bedroom is air conditioned and has generous storage space. 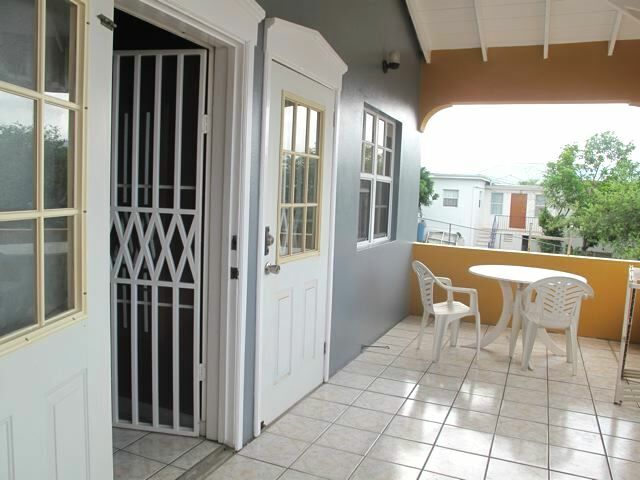 Access to the covered veranda via a security door is available from both the bedroom and living room.